Jim McCann has announced a classically beautiful Palm Beach estate offered for $9.9 Million. Nestled in the sought-after “Sea Streets” of Palm Beach, this exquisite 7-bedroom, 6.2-bathroom Hamptons-inspired estate is sure to impress. 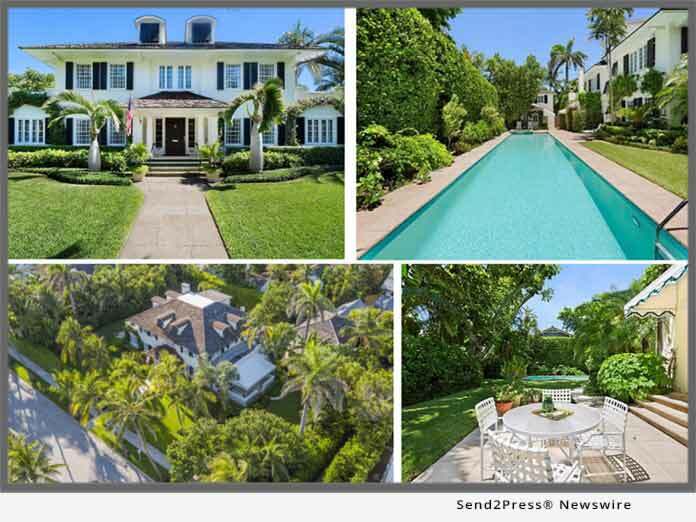 PALM BEACH, Fla. /Mortgage and Finance News/ — Jim McCann has announced a classically beautiful Palm Beach estate offered for $9.9 Million. Nestled in the sought-after “Sea Streets” of Palm Beach, this exquisite 7-bedroom, 6.2-bathroom Hamptons-inspired estate is sure to impress. Encased in magnificent, manicured gardens, which act as a verdant privacy barrier, this stately three level residence is perched on a supersized one-half acre+ lot with 185 feet of street frontage and is only a few tantalizing steps from the Atlantic Ocean.